The Steampunk style, which was born in the 80s, comes back stronger than never, albeit for its fans, it had never disappeared. 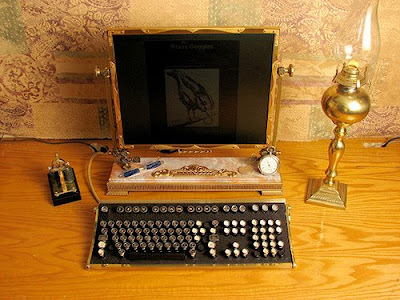 Steampunk is a fantasy genre that mixes retro style (Victorian times, steam machines...) with technology. It comprises from artworks to literature. The word Steampunk was an idea of the writer K. W. Jeter, in 1987, to define the style of his novel "Morlock Night", in a magazine called Locus. 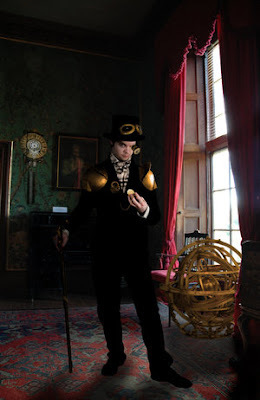 Steampunk is a style surrounded with mystery, romanticism, with what could have been but stayed in fiction, as something trapped in the stories that emerged from the mind of Jules Verne, H. G. Wells, or Mary Shelley. 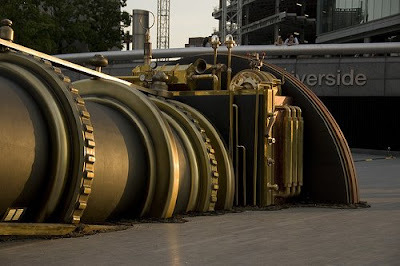 Steampunk artworks are immersed in an English foggy style, of enormous libraries filled with complex gadgets. It's a very warm esthetics, very distant from the coldness of the impersonal and modernist design, which is so lacking of feelings and emotions. It's a bet on the creative, the original and craft-made. The materials that are present in Steampunk are woods, bronze, iron, and copper. The spirit of the genre is optimist, even idealist, with a great trust in the discoveries, science, and the freedom to use it. It's not strange that in opposition to the cold modernity of nowadays, many people are approaching to this artistic style, and you can see laptops, artworks, gadgets, and even architectures that decorate the streets, far from the absurd cold jumble of concrete and iron. 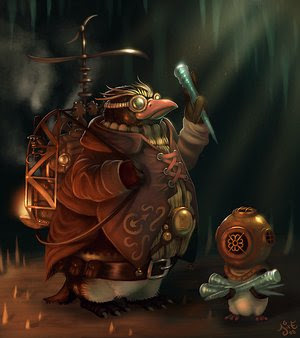 Images (in order): Steampunk Gentleman, by Taepanda; Steampunk Penguin Professor, by Einen; Steampunk, by Pashasha; London Telectroscope, by S J Pinkney. Let me start by saying that I wasn't aware of the steampunk designation until recently. Although I'm not "into that", I quite like its visual since I like the marriage of classic and technology. Movies like Captain Nemo have always fascinated me. A website that has some good links is Brassgoggles, which link is also available from my blogroll. Thank you Jose for the link.